Free Books! Knee bone connected to the? Recently, the Tufts University libraries banded together and instituted an entirely new way to order books from within our library system. 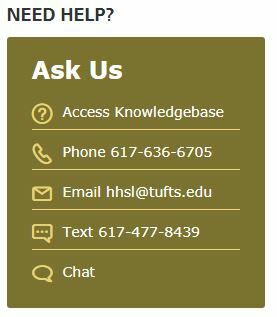 You no longer have to log into ILLiad to order a book from Tisch, Ginn, Vet, or any of the other Tufts University libraries – for now on, it’s is as easy as 1-2-3! Step 1: Once you’ve searched the catalog and found the book is only at one of the other libraries, click the “Request Item” button at the top of the page. 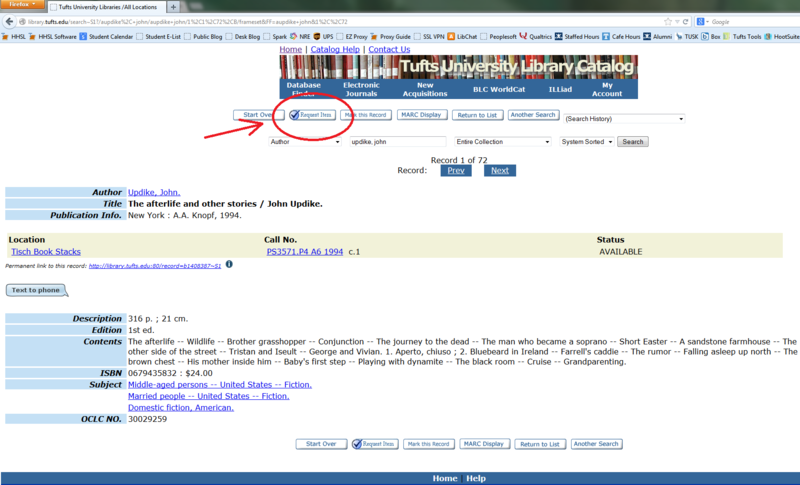 Step 2: Log in, using either your UTLN or your Tufts barcode info. 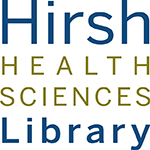 Step 3: Make sure your location on the drop-down menu says “Hirsh Health Sciences Library,” add a date if it’s a dated request (for instance, if it’s for a research paper, and won’t be any use after the paper’s due date passes), and click Submit. You’re done! You’re all set! If the book is available, then your request will generally show up in around 2 – 3 business days. Feel free to visit the desk or call us at 617.636.6706 if you have any questions or run into any problems.